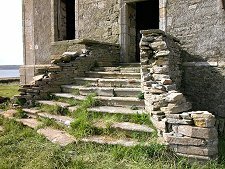 The Hall of Clestrain gained brief national attention when it featured in BBC2's Restoration 2004 programme. It was not successful in winning the competition: but that in no way makes it any less worthy of saving, and the campaign to restore it continues. 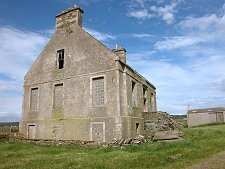 The most recent development was the purchase of the Hall by the John Rae Society in September 2016. 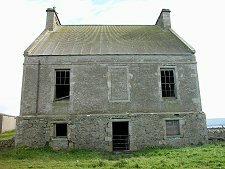 The Hall of Clestrain was built by Graemesay businessman Patrick Honeyman after his marriage in 1769. Before building the house, Honeyman took his new wife to Edinburgh where they greatly admired the splendour of Edinburgh's New Town, then being built. 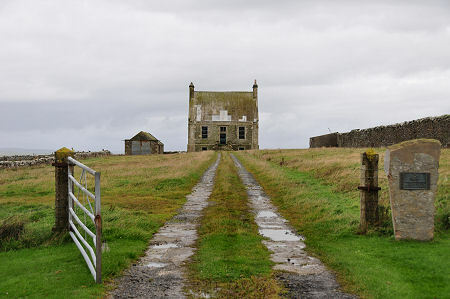 The Hall of Clestrain can be thought of as a small piece of Georgian Edinburgh, transplanted to Orkney in a form adapted to the Orcadian environment and Orcadian building techniques. 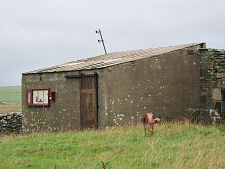 The Honeyman family thrived, and moved to mainland Scotland. 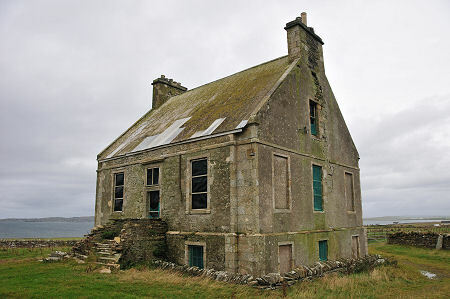 The Hall of Clestrain was then occupied by their estate factor or manager, John Rae and his wife. 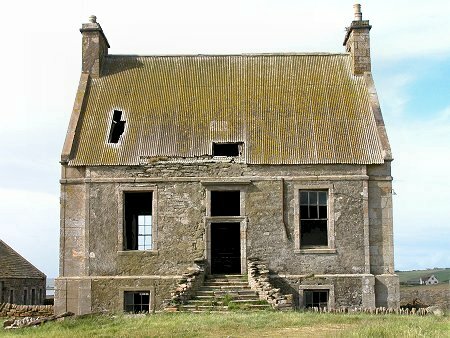 In 1813 their fourth son, John Rae was born in the hall. 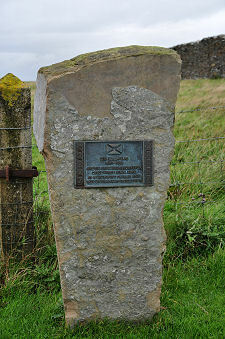 He trained as a doctor then, like many Orcadians, joined the Hudson's Bay Company. John Rae later made his name as an arctic explorer and, in particular, as the man who in the 1850s discovered the gruesome fate of the 1845 Franklin expedition. 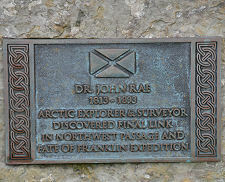 He also discovered what Franklin had failed to find: the last link needed to complete the North-West Passage, the almost fabled route between the Atlantic and Pacific via the Arctic. 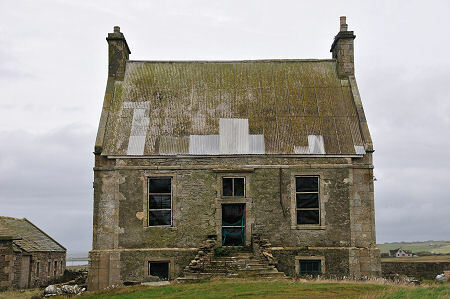 The Hall of Clestrain remained a family home until 1952, when a storm removed the roof. 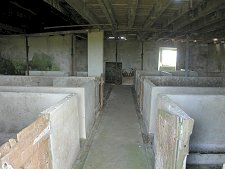 A temporary roof was added and the lower floor was converted to house livestock. Today the hall is a picture of sad grandeur. By no means large by country house standards, it is imposing as you approach along a drive that runs parallel to the nearby shore. 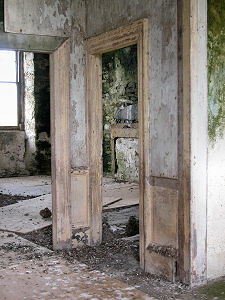 When we first visited in 2004, windows were either broken or bricked up, and you could see through open doorways that the interior at the main floor level is little more than a shell. 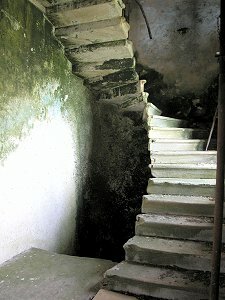 The spiral staircase in the south east corner was especially poignant. 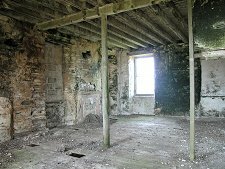 When we next visited in 2018 the house had been made weathertight, but it remained in a poor condition. We hope that efforts to restore the Hall of Clestrain to its former glory bear fruit.